An Industrially inspired chair made from reclaimed long leaf Southern Pine and Steel Junior Channel. 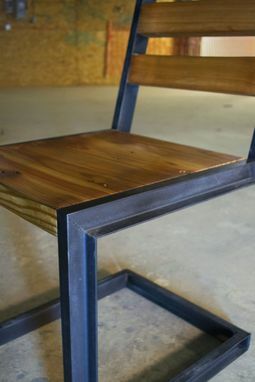 All Steel is coated with black enamel and finished with a protective clear coat. Wood is hand-scrapped to a velvety smooth finish and is treated with Natural Danish oil! The chair is TIG welded and lag bolted together and the seat and backrest are honed with subtle ergonomic curves for extra comfort! 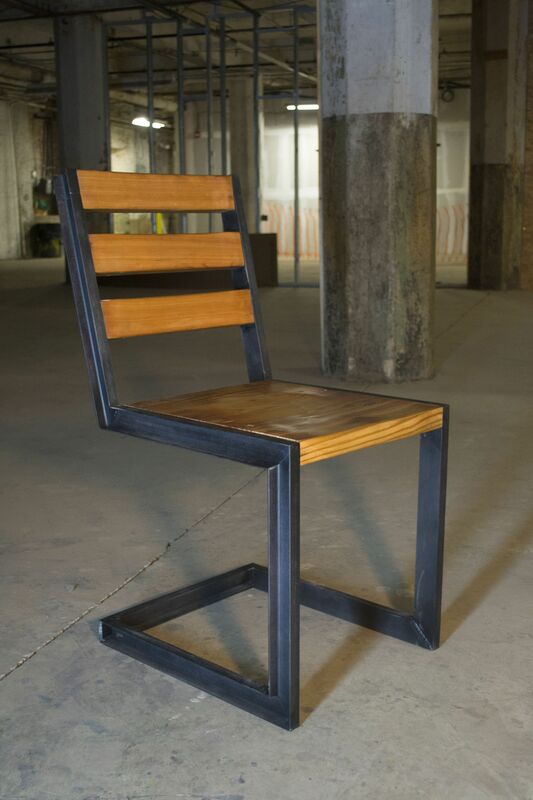 This chair stands approximately 38" tall with a seat height and depth of 18" and weighs approximately 44 lbs. 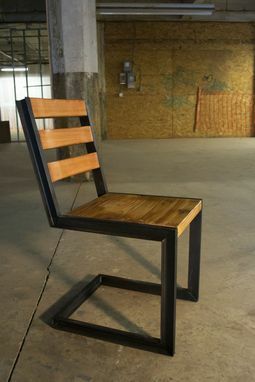 Note: These are true, industrially designed products so they are heavier than typical furniture.